We compared three-dimensional (3D) and two-dimensional (2D) measurements of the solid component to determine radiological criteria for sublobar resection of lung adenocarcinoma ≤ 2 cm in size. We included 233 surgical cases. The maximum size of the solid component for 3D measurement was calculated by delineating the solid component on successive axial images and reconstructing the 3D surface model. The predictive performance for adenocarcinoma in situ (n = 43) and minimally invasive adenocarcinoma (n = 77) were equivalent to areas under the curve of 0.871 and 0.857 for 2D and 3D measurements (p = 0.229), respectively. A solid component of 5 mm had a prognostic impact on both measurements ( ≤ 5 mm versus > 5 mm; p = 0.003 for 2D and p = 0.002 for 3D, log-rank test). Survival rates at 5 years were 94.7–96.9% following lobectomy and sublobar resection among patients with a solid component ≤ 5 mm in size. Sublobar resection resulted in worse survival rates, with declines at 5 years of 15.8% on 2D and 11.5% on 3D measurements, than lobectomy in patients with a solid component > 5 mm in size. A solid component ≤ 5 mm in size is an appropriate criterion for sublobar resection for both measurements. In addition, 2D measurement is justified because of its simple implementation. The online version of this article ( https://doi.org/10.1007/s00595-019-01806-9) contains supplementary material, which is available to authorized users. We would like to thank Editage (www.editage.jp) for the English language editing. 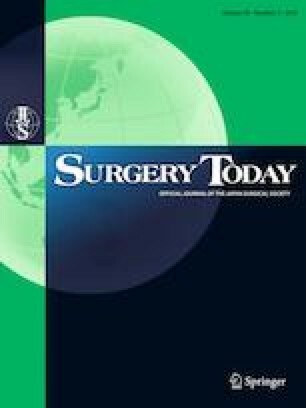 This work was supported by the Japan Surgical Society [Young Researcher Award].